Power is a critical resource that provides businesses with insight into how their data center power is distributed and consumed. 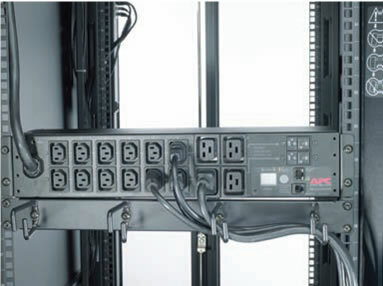 Monitored rack PDUs provide an inside look into the data center power chain. 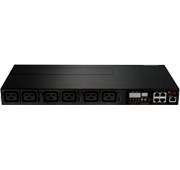 Monitored products are the first entry into IP-addressable PDUs. Data center professionals can track power data from a networked computer. With this technology, the power infrastructure at distributed sites and branch offices is no more than a click away. And when on site work is required, monitored PDUs still contain an LED current meter on the strip. In addition, many monitored PDUs support alert capabilities. Users can set automatic alerts via SMTP/SMS/SNMP when conditions (like amps, temperature, or humidity) exceed predetermined thresholds. Throughout our 20 year history, 42U has made computer environments more productive and efficient through the integration of remote management solutions. Remote power and remote access solutions have been cornerstones of our success. Contact your 42U sales engineer today for a power project evaluation at 1-800-638-2638. The Smart CDU family has the capability to daisy chain units together which gives the ability to use one IP address across different power circuits. Advanced power measurement, control and management for your remote IT equipment. Provide active metering to enable energy optimization and circuit protection. Can administrators gain true redundancy & simultaneous control of multiple power supply devices?